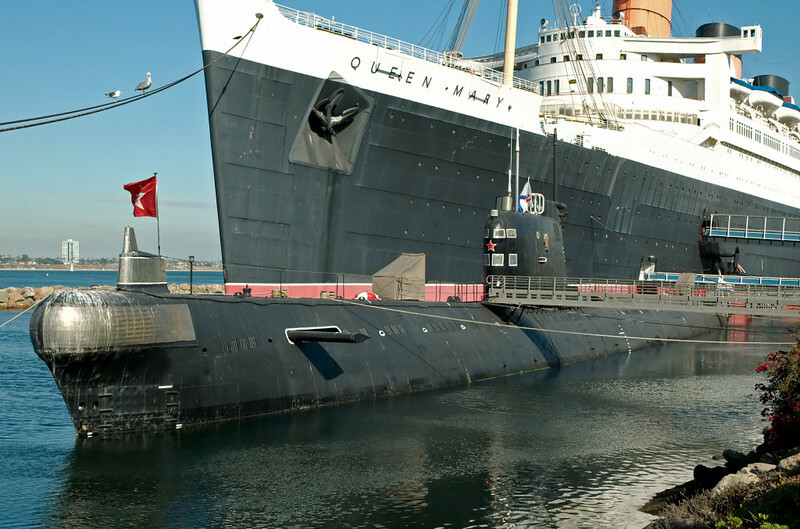 Soviet Foxtrot class submarine B-427 'Scorpion' & Queen Mary, Long Beach, California, 2 October 2006. The 1,952 ton (surfaced) diesel-electric SSK (hunter-killer submarine) nestles beneath the retired 81,237 ton Cunarder. 58 Foxtrots were built for the Soviet Navy 1957 - 1971. They had all been decommissioned by 2000. 16 other boats were built for other navies.